Flake Floors are becoming very popular now for their strength and beauty, You select the Flakes or quartz, from hundreds of different blends available, And we will apply it to your floor. 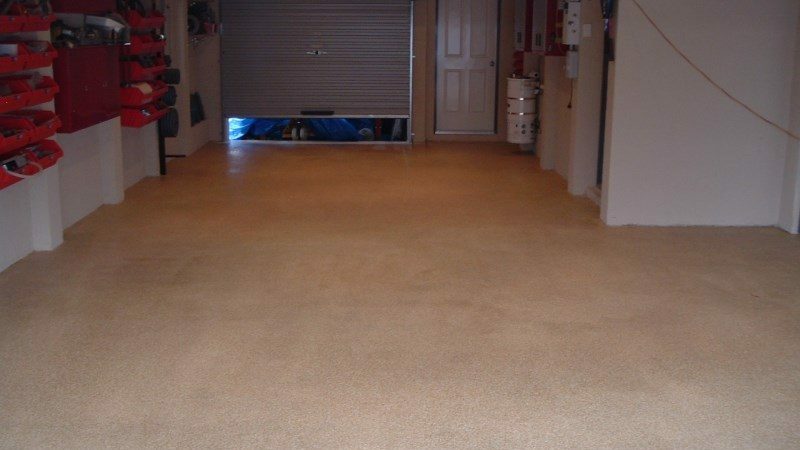 Flake floors are great for wet areas, garages due to their hard wearing and slip resistance. Be cautious of some flake floors that recommend you to keep your tyres off them. Ours are designed to be driven on for many years to come. 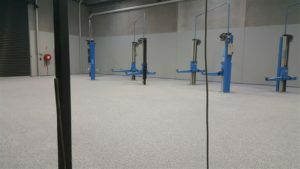 Our Flake floors are extremely hard wearing, will not yellow in sunlight, and our systems can be tailored to suit your expectations and Budget. 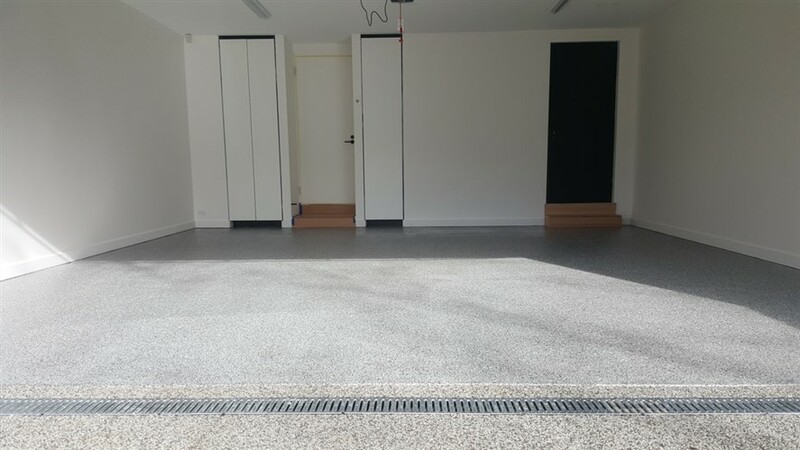 Our flake flooring systems can be customised to suit your environment, if you want a floor that looks like polished concrete in your lounge, we can do that with flake, and we can make it smooth as a babies bum. Or we can do the same thing around your pool, but this time we add some non slip to prevent slips and falls in a wet area. Epoxy Flake diagram, showing the layers. Seamless finishes means it is easy to keep clean and there is nowhere for the dirt and dust to hide, making it ideal for allergy sufferers. 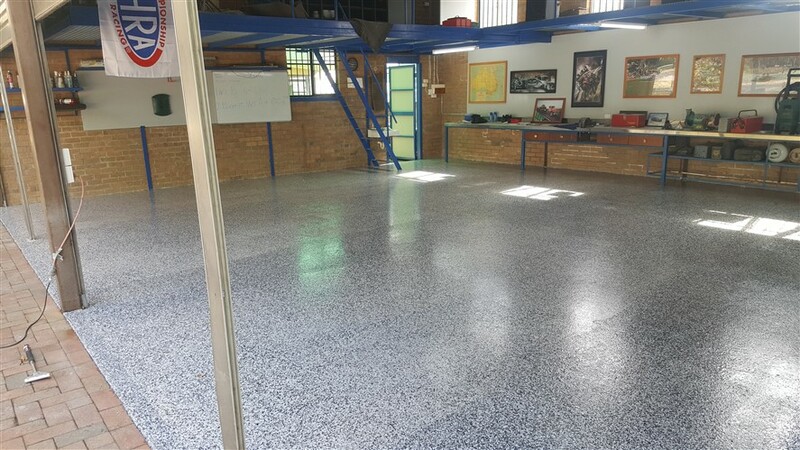 The Products we use were originally intended as industrial coatings, so you can be sure that they will be very durable. 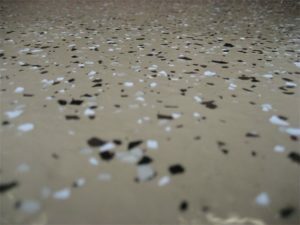 Floor finishes are available in gloss, satin, and matte finishes, and we can incorporate non slip aggregate if required. Many Different Flake blends are available - Or we can customise to your liking. Laminated medium build coating, helps to hide imperfections and irregularities in the surface. 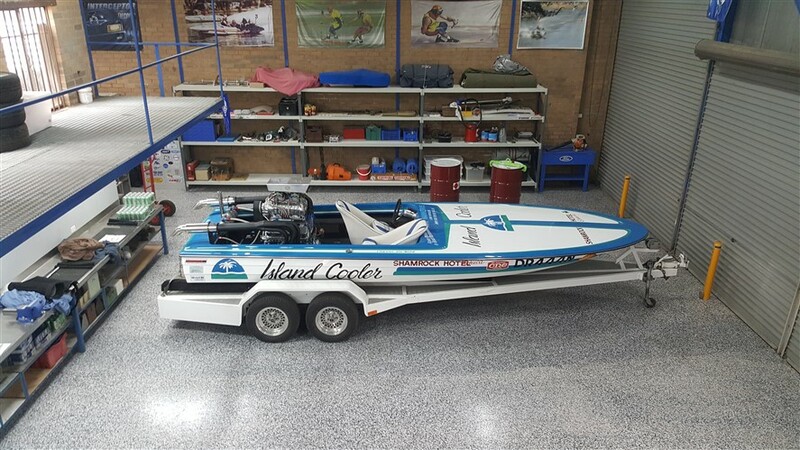 Great for garages, Large or Small. Different results can be achieved with a partial flake coverage.... Just ask us! 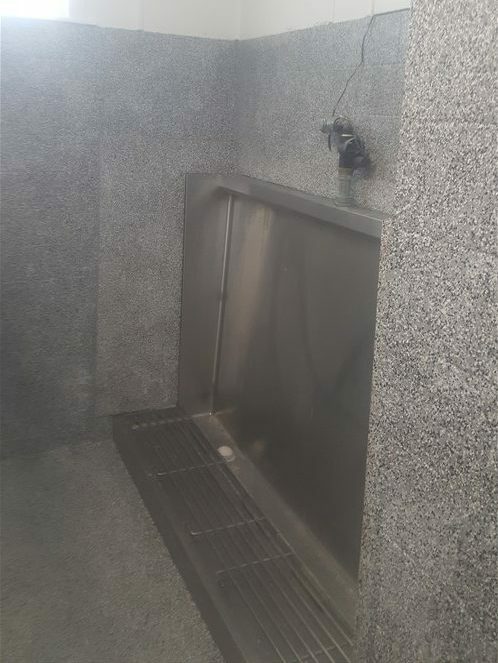 Epoxy Flake system used to rejuvenate old public toilets. Although the attached pictures are spectacular, to truly appreciate the product we encourage you to contact us so we can show you some samples.